Microsoft is offering more flexibility and innovation capability. 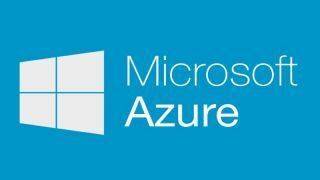 This Thursday, Microsoft announced an extension of Azure technologies on-premises, as well as a couple of Azure Stack updates. According to a blog post announcing the new features, the company said the updates will make sure organisations with hybrid cloud environments have the same flexibility and innovation capability to match their business objectives and app design. Organisations get to choose from a ‘worldwide pool of talent’, meaning they can get productive on day one, and be very flexible moving from one project to another. Azure IaaS and PaaS services can be delivered on-premises, allowing companies to adopt hybrid cloud computing, based on what they require, both on a business and on a technical level. Azure Stack is delivered through integrated systems that are designed to continuously incorporate Azure innovation in a predictable, non-disruptive manner. Microsoft is also allowing the Technical Preview 3 for Azure stack, which is now available for download. There’s also the cloud economic model on-premises, with pay-as-u-use pricing. "Our goal is to ensure that organisations choosing hybrid cloud environments have this same flexibility and innovation capability to match their business objectives and application designs,” wrote Microsoft’s Jeffrey Snover.